I loved writing Playing With My Heart. 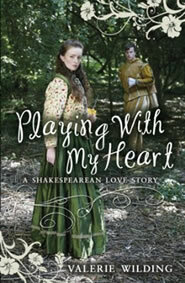 It combined two of my favourite things: the brilliantly fascinating Tudors, and a new challenge. It’s fun to tackle something different, and my personal challenge this time was to write my first love story! I’ve never fancied doing a romance before, but I’m so glad I did, especially as I was also revisiting the London of Bloody Tower and other ‘My Story’ books. Patience Whittingham’s stepfather, Harry, is a skilled craftsman, much valued at William Shakespeare’s Globe playhouse. 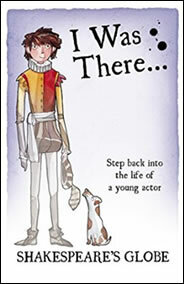 Patience finds the playhouse thrilling, especially when she meets the handsome and exciting actor, Jeremy de la Motte. The trouble is, her stepfather’s loyal, good-looking apprentice, Kit, is besotted with Patience, and he knows what she’s up to. Harry has a very poor opinion of players and, when Patience steps out of line and is forbidden to visit the Globe, she can’t accept that she’ll never see Jeremy again. She’s certain he’s the one for her, but others are not so sure! How lucky am I? 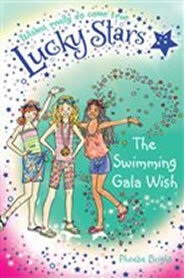 Another book set in wonderful London, but this time for younger children of 7+. There’s a new king, James I, so we’re no longer in the Tudor period, but in 1604 - right at the start of all the exciting changes of the 17th century. I’m a ghost! That means I’m part of a team creating a series of books under another name. 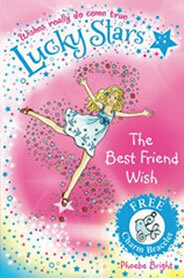 Lucky Stars is one of the series I’m proud to have worked on. One night Cassie is gazing at the twinkling sky, when suddenly a shooting star zooms into her bedroom and transforms into Stella Starkeeper. 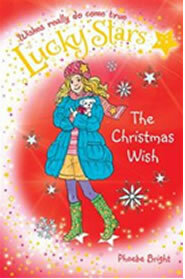 Stella and Cassie fly to the secret world of the stars, and Cassie discovers she is destined to be a Lucky Star – someone who can grant real wishes. 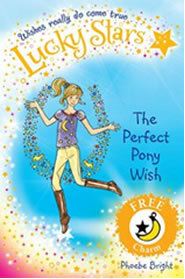 But first Cassie must collect six magical charms and use their powers wisely – helping other people's wishes to come true. 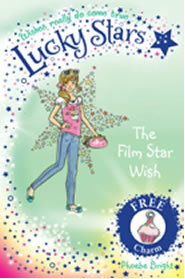 Only then will she become a fully fledged Lucky Star!